Christmas is coming! The festivities have already begun for me and I've finished about 60% of my Christmas shopping already. It's my favourite time of year - spending time with my family is so precious to me and getting to share some wonderful memories with loved ones to look back on is great. It's even better now that I video my Christmas (and the build up) on my vlog channel (you can watch last year's vlogmas here). Getting to relive all the funny, emotional and exciting moments is something that warms my heart, and getting to share those memories with the world is equally as exciting! Shopping for gifts is one of my favourite past times. It's something I obviously don't do often but when it comes to Christmas, I always go ALL OUT. Despite being a student, I do what it takes to get the cutest and most thoughtful gifts for my family/friends/boyfriend because nothing beats that feeling of joy on your loved ones faces as they open something from you. 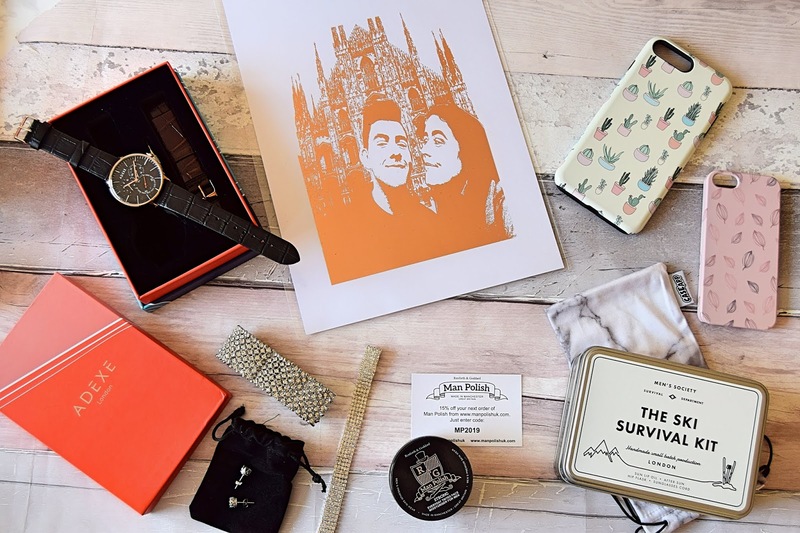 Thus, my 2018 gift guides on the blog have begun and here is the first instalment containing a variety of gift ideas for your partners, parents, great aunts and more! 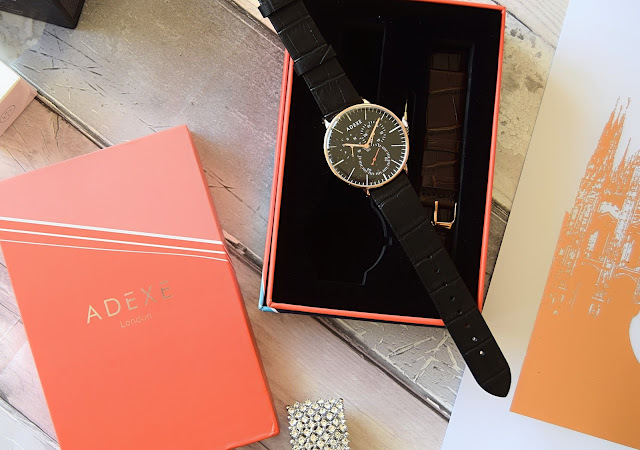 This stunning watch company is something you MUST check out if you know someone looking for a sleek new timepiece or as a more luxurious gift idea. 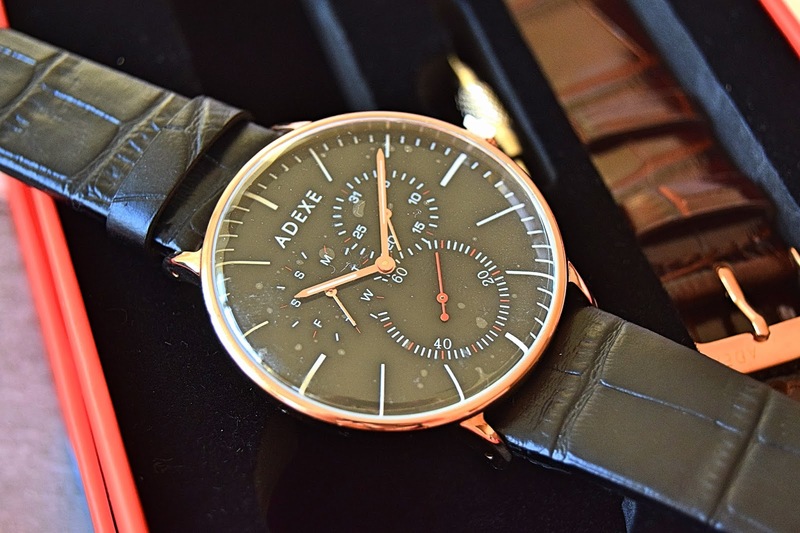 Adexe have just released this beautiful new packaging - bright, block colours giving the brand a designer feel. I adore the presentation of the watches; they are all held in one of these 'designer-esque' boxes, positioned boldly inside with all the information you need packed into a sleeve in the lid. There is also a second strap gifted to the right of the watch - I absolutely love the brown and black watch straps they have to offer, enabling easy style with your everyday outfits. If you are considering purchasing one of these beauties, don't hesitate to use my code SCARLETSLIPPERS15 for 15% off any watch. 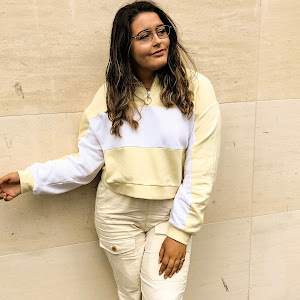 One of my favourite collaborations that I've gotten on board with recently is with Oh My Gold LDN. 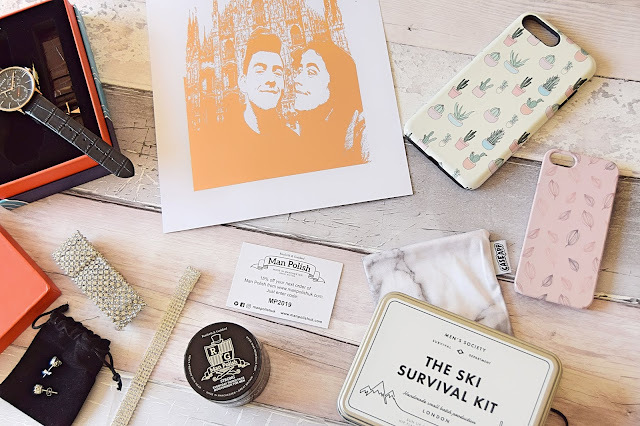 This unique brand helps provide the perfect personalised gift and can deliver ridiculously fast. 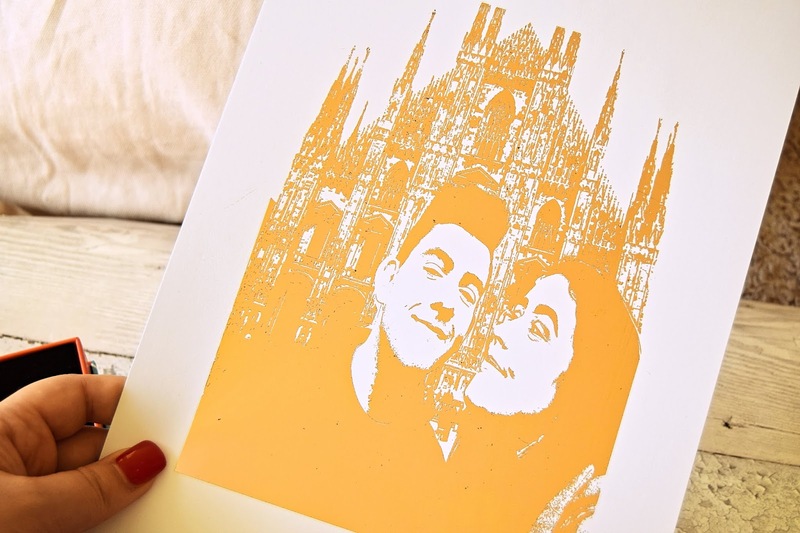 All you have to do it upload your desired image to their website and they will formulate the most beautiful, foiled print that can be shipped to your door. 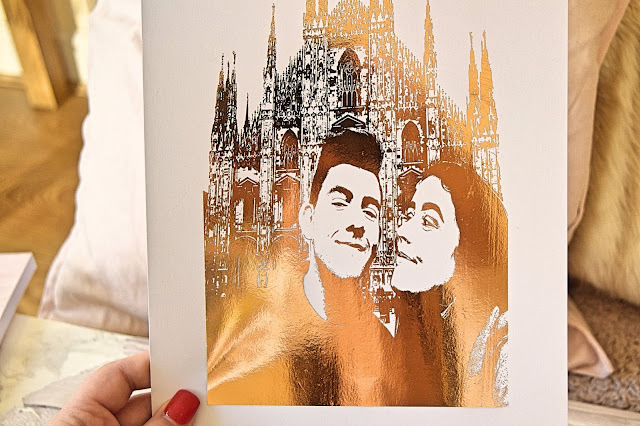 My favourite foil colour was the rose gold, as it fits perfectly with my room decor but you can also choose other colours including: champagne, gold, purple, holographic and more. Not only can you send it personal images, you can browse the website for pre-made designs/quote that you think may be ideal for you wall at home or an inspiring quote to gift a friend this Christmas. I love how innovative this idea this and super affordable if you're on a budget this festive season. 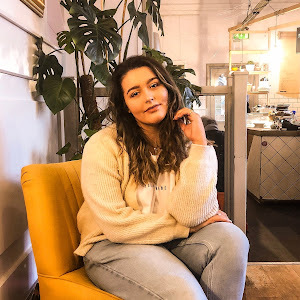 For those of you who have been following my blog for a while now, you will know my love for this brand. Caseapp are a brand that provides cases for all of your favourite technologies - personalised macbook skins to phone cases, caseapp allows you to choose from a variety of pre-made designs or create your own personalised phone case on their site. I believe Caseapp is a great stocking filler - especially when you personalise it to the individual. 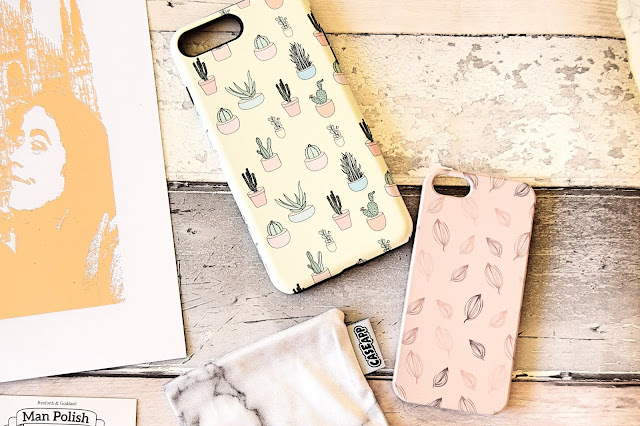 I've adored making cases before with my own photos; however, I also enjoy the endless range of designs Caseapp offer. 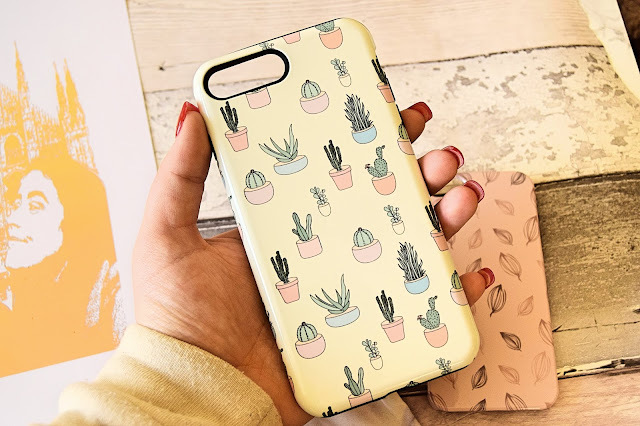 Thus, I chose the cute and quirky pastel yellow cacti case - the perfect gift for my younger cousin and something I know she will fall in love with this Christmas. 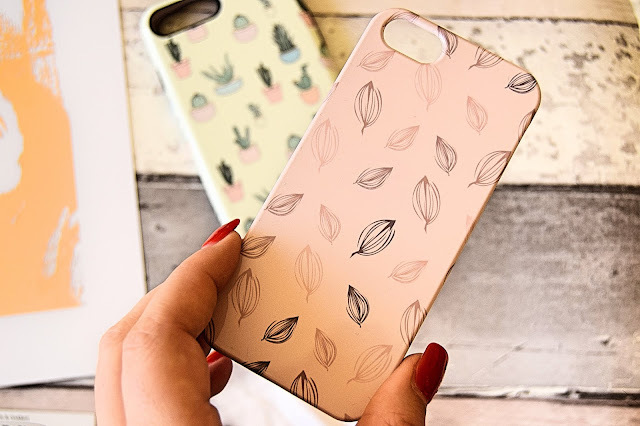 I also chose this simple, yet season fitting autumnal case for my mum - she loves pinks and purples, so think the simplicity of the design mixed with her favourite colours will be right up her street! 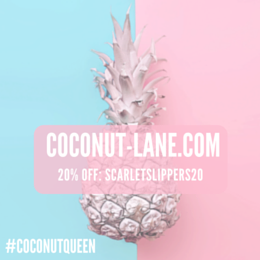 Make sure to use my code SCARLETSLIPPERS20 for 20% off your buys! 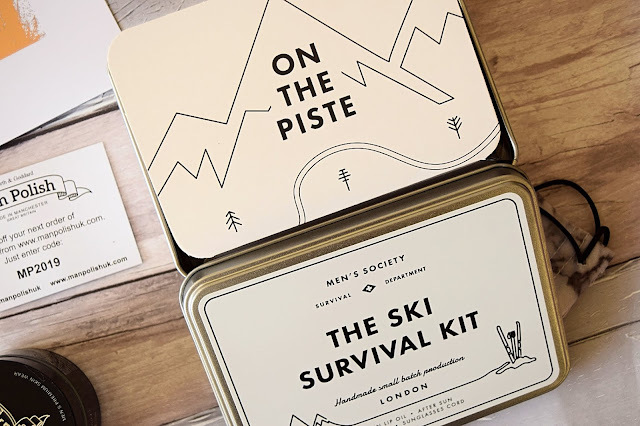 If you are struggling to find something to buy the men in your life this Christmas, head over to Men's Society. This innovative brand have crafted some incredible little gift sets that feature a range of presents relating to a hobby/interest. 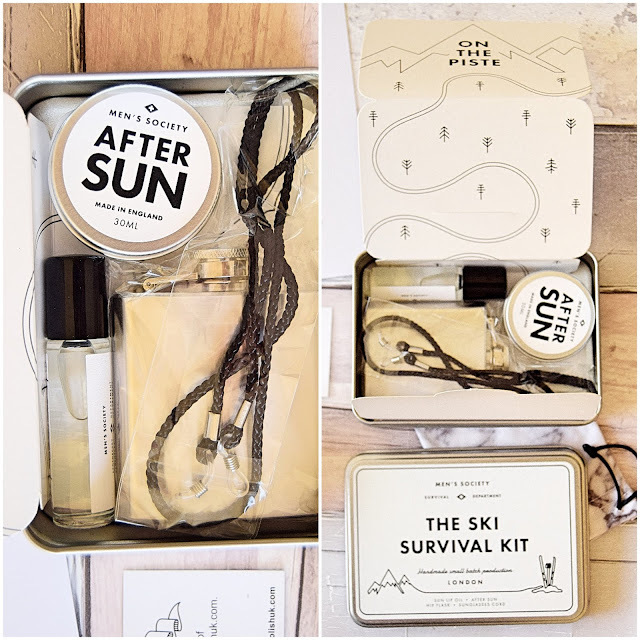 My boyfriend and I have planned a skiing holiday for next Winter; therefore, I opted for the 'Ski Survival Kit' containing a lip oil, after sun, mini hip flask and a sunglasses cord. This little kits hold a range of practical, necessary things that we may have forgotten when packing for our trip. 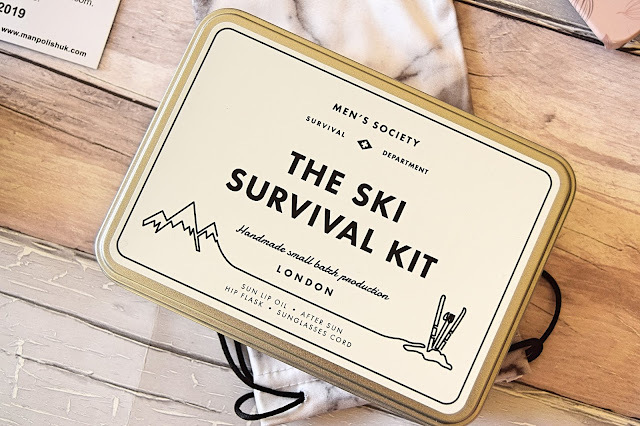 Other incredible kits that Men's Society offer on their site are: Sportsman Recovery Kit (for the sporty men), Beard Grooming Kit (for the hairy men), Gin Accessory and Tasting Kit (for the alcohol loving men), Vinyl Record Cleaning Kit (for the musical men) and many more! 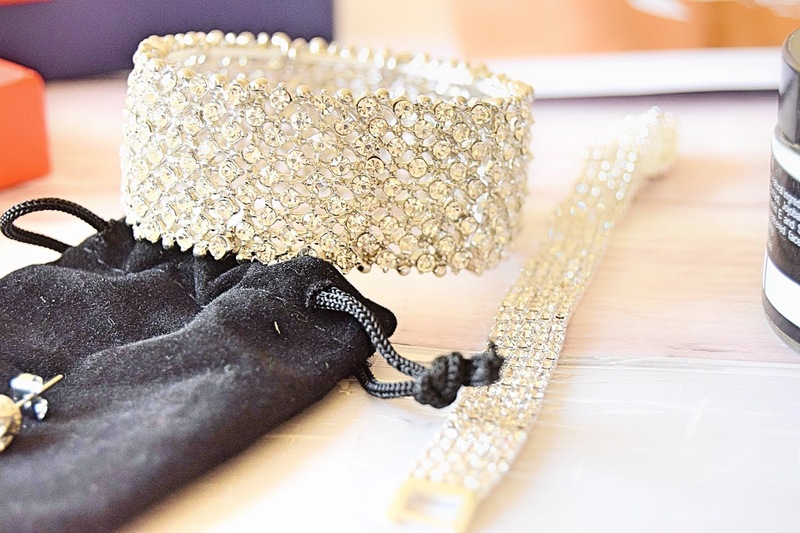 These gift packages are ideal for us women/men that struggle to buy for the males in our life. I always find it difficult to buy for my dad in particular so I'll definitely be referring to this site every time I need a new gift idea, not just this Christmas! 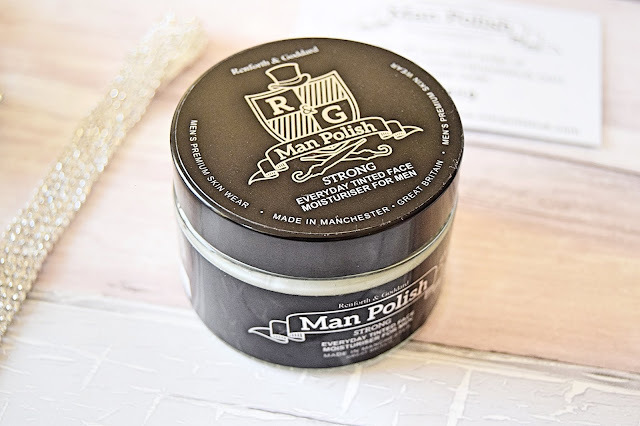 Another great gift idea for the men you are struggling to buy for is Man Polish. Renforth and Goddard set up a movement to make the male grooming scene easily accessible and acceptable in society. 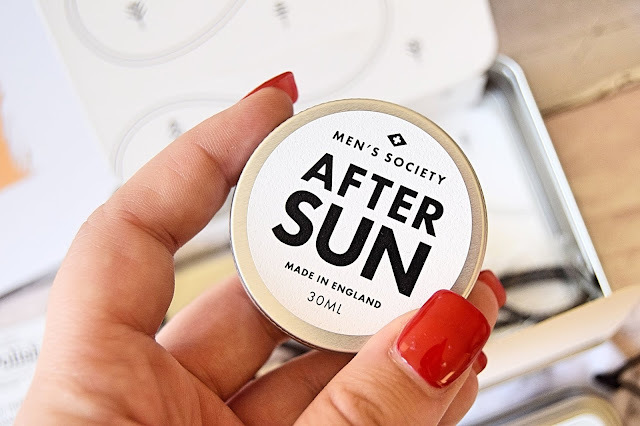 They have produced this amazing brand to enlighten men and allow the men in our life to use their tanning products to make them feel confident in themselves for date nights, business meetings and other special occasions. The products range from a Neutral Moisturiser to a Strong Tinted Moisturiser - ideal for achieving the perfect tanned face for your chosen event. For a mid-range price of £18.95, these Man Polish pots hold a lot of product and will last a lengthy period of time. 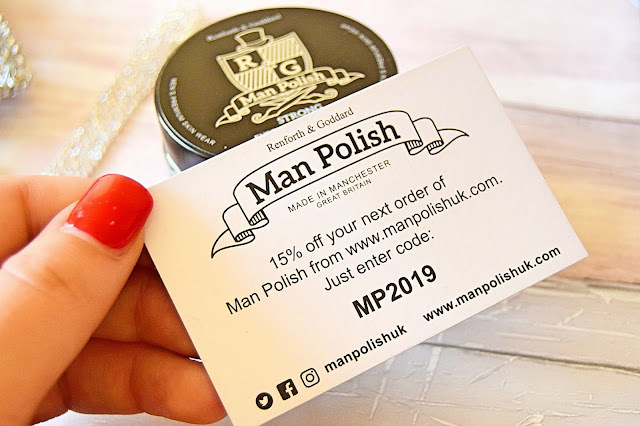 If you think this is something the men in your life would love, don't forget to use the code MP2019 for a 15% off discount. 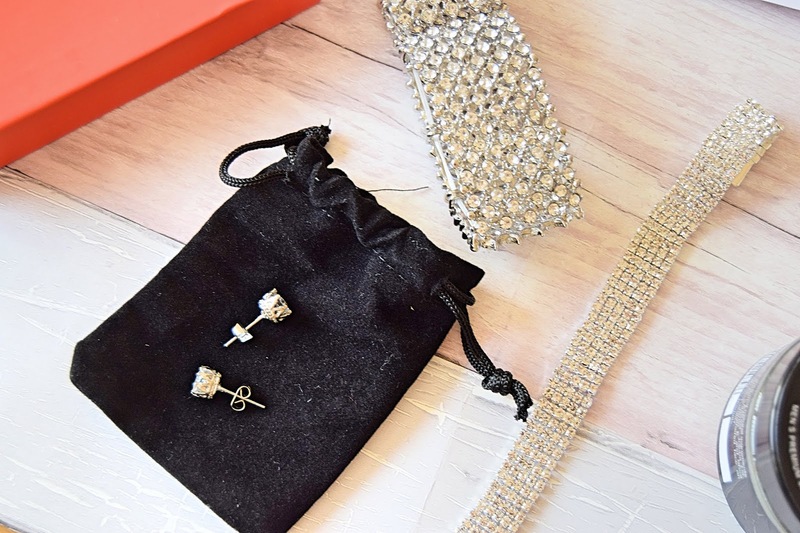 Jouellerie are a jewellery-based brand that not only sell a stunning range of costume/fancy jewellery, but a variety of fashion accessories and fragrances too. There are hundreds of rings, bracelets, necklaces and earrings to choose from - gold, silver and jewelled. 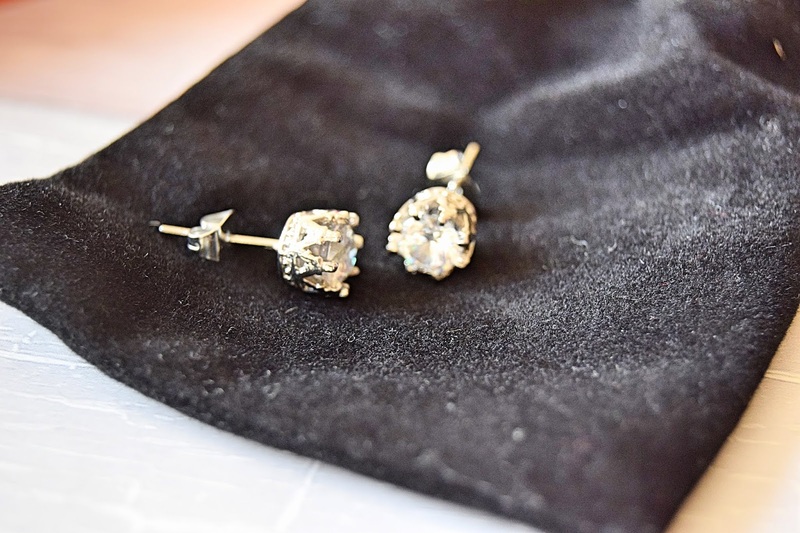 You will be able to find something fitting for any woman in your life that is a jewellery lover. I adore wearing silver jewellery for special occasions but I'm a huge fan of gold jewellery to wear during the day. The vast range of styles and colours is ideal for finding your partner/mother/aunties/grandmother the perfect Christmas gift. They always have reduced prices on some stunning items so make sure to check out the latest deals to see if your favourite piece has reduced in price. What brands have you been loving this year when Christmas shopping? Have you almost finished buying presents like me?